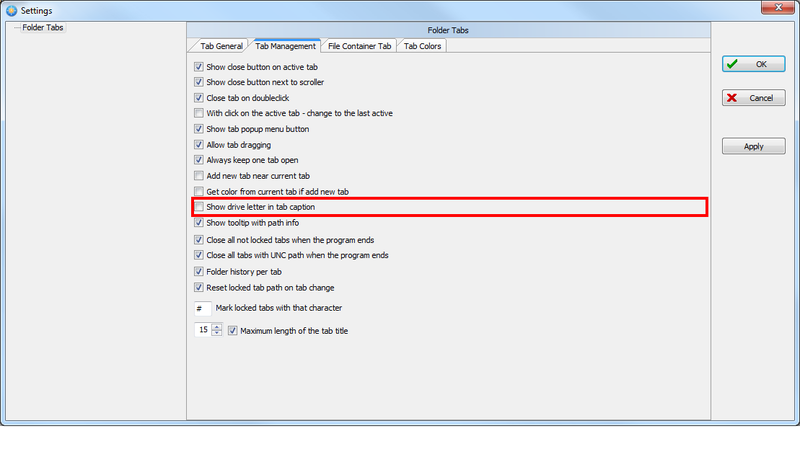 - Open UNC-path like "\\myserver\c$"
The window title shows the path correctly, but the tab shows "1:c$". IMHO this should be "\\myserver:c$" or "myserver:c$"
Last edited by larsen on 23.10.2018, 15:58, edited 1 time in total. if you wish, you could tick the check box below, then you get at least a correct tooltip. Changed for the release 785.